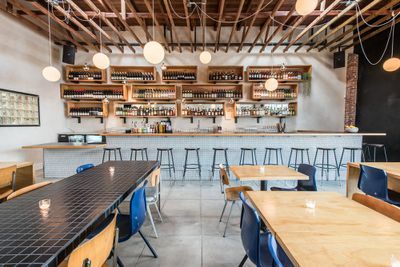 Soon enough, you’ll be able to wander in off Sunset Boulevard for some pizza and a glass of wine at Bar Angeles. 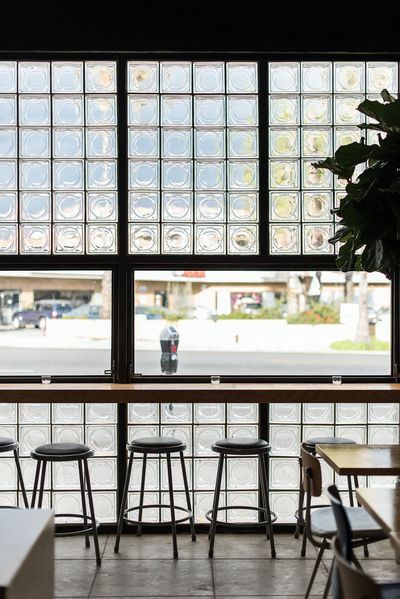 The latest project from the Esprit de Corps Hospitality team — they’re the ones behind Cafe Birdie, Good Housekeeping, and Horse Thief BBQ — comes to life on Tuesday, February 28, and you’re going to want to take a look inside. 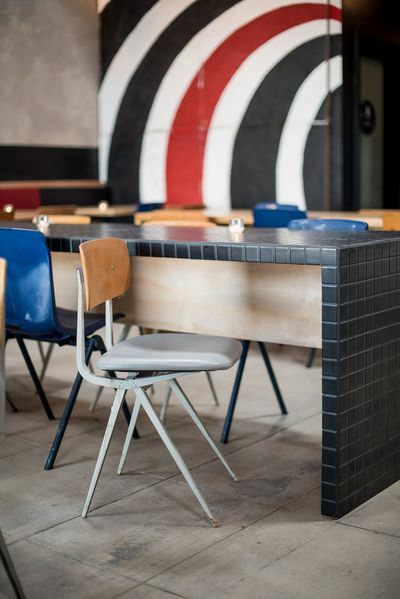 The cozy, colorful space is meant as a social gathering point for Silver Lake’s northern edge, along with nearby options like Dinosaur Coffee, Akbar, and El Cid. 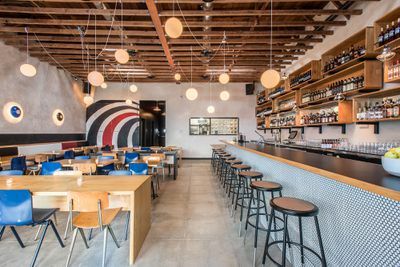 It’s a comfortable destination with plenty of nods to the all things audio, from the section of Elliott Smith mural preserved inside the bar to the name of the place itself. 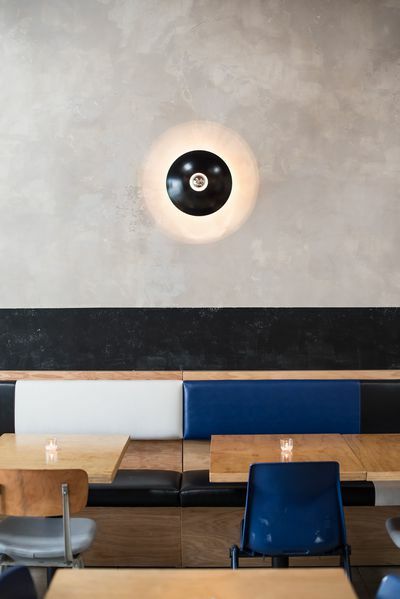 Jake Harrison of ETC.ETRA designed the main dining space, with its tiled bar, open ceilings, colored chairs, and open feel. On the food front, expect sandwiches, more composed plates, and plenty of vegetables from chef Joey Booterbaugh. There is also a shiny new pizza oven, which means you’ll be able to snag a couple of pies and pints with friends in just a few days’ time. Barman Greg Mills steps in to lead the cocktail and beer/wine side. 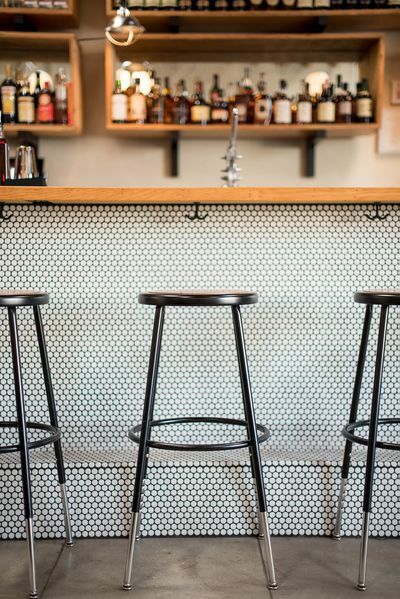 He’s in from Brooklyn, and will be mixing and pouring drinks nightly from behind the bar. 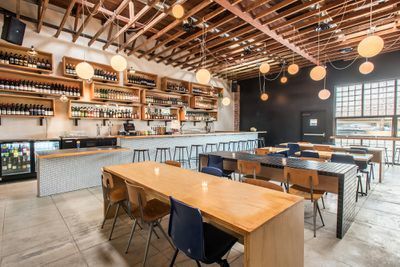 Bar Angeles opens Tuesday, February 28, with hours Sunday through Thursday from 5:30 p.m. to 11 p.m., and an extension to midnight on Friday and Saturday. 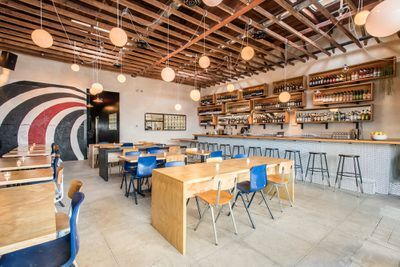 “Bar Angeles Sings a Silver Lake Tune Along Sunset Boulevard.” Eater LA – All. 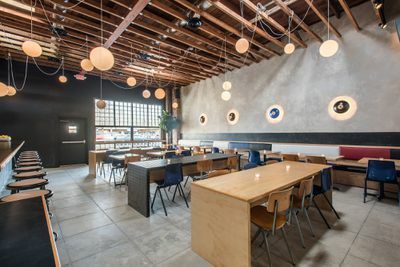 http://la.eater.com/2017/2/23/14717006/bar-angeles-silver-lake-photos-opening-inside.